Ben Arfa update – Marseille open to talks with Ben Arfa. | NUFC Blog. 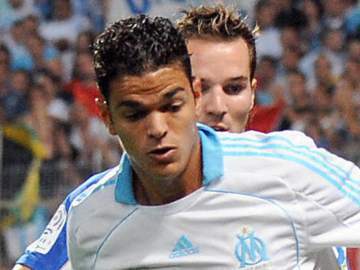 Marseille president Jean-Claude Dassier has opened the door for talks between himself and Hatem Ben Arfa. Ben Arfa walked out on Marseille a few days ago in the hope of forcing a move to Newcastle, but the Marseille president now wants to talk to the player to try and resolve the situation. Quite what that means is anyones guess, but the way I see it those talks can go one of two ways. The player will either stand his ground and still want to move to Newcastle, which would appear to be the more likely course of action given what Ben Arfa and his agent have said previously, or Dassier could convince Ben Arfa to change his mind as stay at Stade Velodrome this season. “We cannot accept Hatem Ben Arfa’s attitude,” Dassier told French radio station RTL. “A professional player must honour his contract. I think that the revelation that Dassier is open to talks with the player will force an outcome one way or the other sooner rather than later. The fact that Dassier doesn’t want to ruin the career of the player would suggest that if Ben Arfa sticks to his guns he can continue to force through the move to Tyneside. It’s an interesting story, one that has had many many twists and turns and has still yet to run it’s course. Hopefully it will be sorted soon enough and the outcome will be favourable for Newcastle. I’ll not hold my breath though and will await the next twist in the saga with anticipation. More to follow, no doubt! It’s up to Newcastle to sign Ben Arfa. Hope this gets sorted tomorow. This must be getting especially frustrating for you Toonsy. It’s like torture this transfer saga and I had a weeks holiday in the middle of it! Well the only reason he seemed ready to come to us was down to the fact that he had to leave Marseilles. In saying that, even if they do want to open talks he might still turn round and tell them to bugger off given the way they’ve been with him so far. To be honest it just needs to be over and done with asap. This is dragging on and I hope to god we’re not stalling on other deals and banking on the fact we get him to keep fans happy. We still need to strengthen in numerous areas. I’ll believe it when I see him in our famous stripes. toons – did you get my post about the ‘I know the score’ game on the fantasy footy site? Oh and also, bellers to Cardiff is incredible for them. Would have loved to snap him up but sadly that isn’t happening like. WTVH – Not really mate. It’s an easy story, plenty of twists and turns, writes itself pretty much. True enough toonsy and the recent quotes have been pretty entertaining in fairness. Nice one mate. Seems to be as easy as the fanatasy footy league in terms of creating and joining and I know some of the lads on here will be up for it. Hope it’s all done and dusted soon, getting bored of it dragging on now. later Toonsy……thats me too.Neet lads. Actually, why aren’t we looking for Bellamy on a loan deal? Reports are talking like he’ll sign for Cardiff purely to annoy city even though they clearly couldn’t care less after they gave him permission to train with them and banned him from their premesis. They’re refusing to let him sign for rival clubs with both fulham and everton being the two prem clubs mentioned. It can’t hurt to throw our name in the hat surely? apparently. Anyone ever heard of him? How safe is it to travel to everton on your own on public transport? They stop you in the middle of the road in everton,& try to touch you…It’s fun though..give it a try,MA does it often. nobody would do owt to an old Austin Metro surely Toonsy! Gotta say I’ve never really had any problems taking the car to away grounds. The most dodgy one was Fulham. Not because of the area but because the signs were hard to understand so I had a niggling doubt about whether or not it was going to get towed away. It didn’t thank god. Rich – Would you want one or two tickets for it? If it’s the one you can use my membership if you want? You not going then toonsy? probably go to Blackpool,last season was my first time at Blackpool and I genuinely thought it would be my last…..isnt football great? No, its a replacement for M. Niang, who is sold to Fenerbache.